Humans have made a remarkably good fist of exploring the Solar System in the 50 years since we first visited the heavens. We’ve sent missions to study Mercury, Venus, the Moon, Mars, Jupiter, Saturn. Pluto and even to various asteroids and comets. But there’s something missing from this list and you can probably see what. Uranus or Neptune have been cruelly ignored by Earth’s various space agencies. Sure, these ice giants are a long way away and Voyager 2 flew past them in 1986 and 1989 on its way out of the Solar System. But surely, these planets deserve a little more attention. Today, Diego Turrini at the Institute for Space Astrophysics and Planetology in Italy and a few pals make the scientific case for a mission to explore these ice giants. And there are good reasons to go. It turns out that such a mission could help unravel the mystery of how the Solar System formed, why Neptune-like planets are so common in other star systems and could also help study the fundamental laws of the universe such as the nature of gravity at large distances from Earth. Their plan is to send twin spacecraft to the ice giants in 2034 in a mission funded by the European Space Agency. One of the common misconceptions about Uranus and Neptune is that they are smaller, less interesting versions of Jupiter and Saturn. Nothing could be further from the truth. For a start, Neptune and Uranus are made of entirely different stuff. Jupiter and Saturn are composed almost entirely of hydrogen and helium. But these gases make up no more than 25 per cent of the mass of Uranus and Neptune. The bulk of these planets is dominated by water, ammonia and methane, mostly in ice form along with various metals and silicates. So that raises an obvious question. How did these planets form and why did they end up in this part of the Solar System? There is no shortage of ideas. A growing body of evidence suggests that the early Solar System was much more chaotic and violent than originally thought, with planets migrating towards and away from the Sun, experiencing huge collisions on the way and ending up, almost by luck, in the system we see today. That explains, for instance, why Uranus rotates on its side, having clearly been knocked sideways in some cataclysmic encounter with another body. The migration of the planets also explains an event known as the Late Heavy Bombardment in which the movement of the gas and ice giants disrupted the orbits of many smaller bodies which then rained down on Earth and the other terrestrial planets about 4 billion years ago. But this also means that Uranus and Neptune must have formed somewhere else in the Solar System. Determining where will be an important goal. An interesting part of this puzzle will be the study of the Uranian and Neptunian satellite systems. 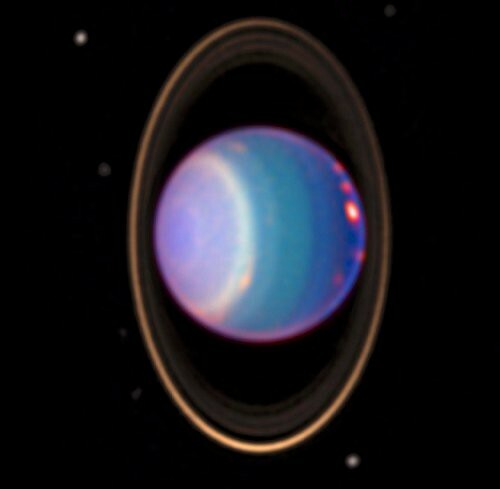 One fascinating possibility is that at least some of the moons of Uranus are debris from the impact that turned it on its side. 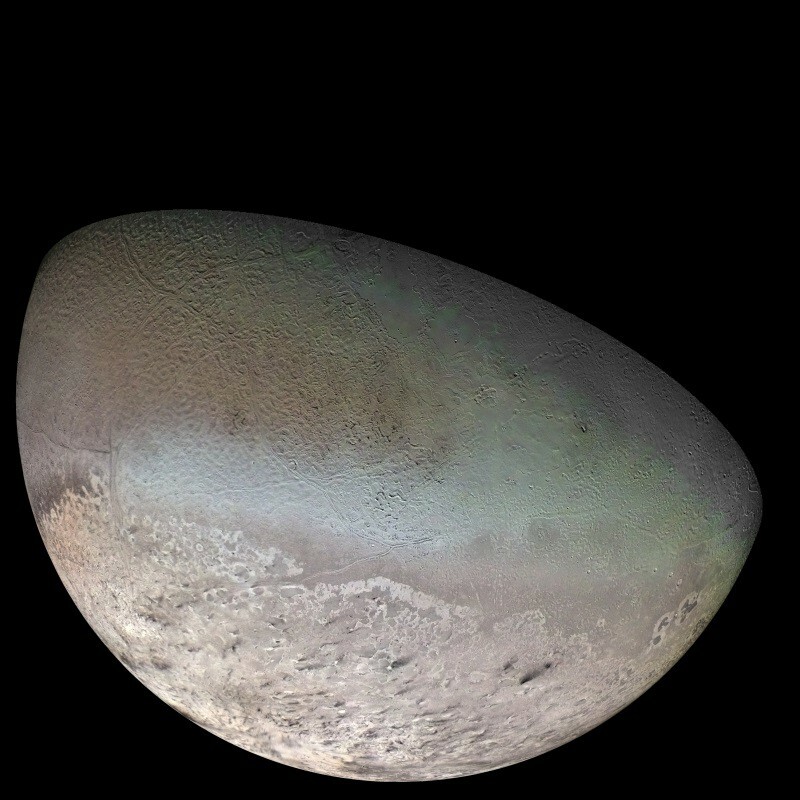 Another interesting puzzle is where Neptune’s largest moon Triton came from and why it orbits in the opposite direction to Neptune itself, the only moon in the Solar System to do this. Triton is also geologically active with geysers that erupt through its surface, possibly spraying liquid nitrogen into space. Learning more about this mysterious body is itself an exciting goal. Perhaps the weakest part of the science case for this mission is the insight it will give into fundamental physics. One question is whether gravity is different at these distances compared to the short distances over which it is measured on Earth. Turrini and co cite the Pioneer anomaly in which the trajectory of the aged Pioneer spacecraft was not quite as expected, implying some additional mysterious force acting on them. Some astrophysicists suggested that this might be the first evidence that gravity was different on these vast scales. But the mystery was solved a year or two ago by physicists who calculated that the spacecraft was emitting more heat in one direction than in others, which generated a tiny force that explained the anomaly. Sending a pair of spacecraft to Uranus and Neptune will certainly help to measure the force of gravity at these distances more accurately than ever before. But it is hardly a reason in itself to justify the mission. Nevertheless, Uranus and Neptune must be priorities for astrophysicists, if only for reasons of completeness (given that all the other planets have had such attention). Everywhere we’ve visited has thrown up fascinating and unexpected results. There’s no reason to think the ice giants will be any different. An interesting corollary is that many of the exoplanets found orbiting other stars seem to have a remarkable similarity to our ice giants, at least in terms of mass and possibly composition, although they are generally warmer. So studying our ice giants could give some important insight into the nature of these exoplanets and how they form. Turrini and co are aiming for a launch date of around 2034, and hoping to keep costs to a minimum by sending two identical spacecraft to Uranus and Neptune—a mission they call Odinus. That will also produce datasets that are directly comparable, which is of important scientific benefit. Obviously, there’s no question that we will one day send missions to the ice giants. The only point of debate is when. An interesting solution would be for the European Space Agency to team up with international partners such as the US, Russia and even China for such a mission. That would reduce the costs to each. But perhaps the biggest hurdle in such a mission will not be technological or even financial but purely bureaucratic and political. And that would be a shame.